Live music versus recorded, instruments versus machines, band versus DJ. 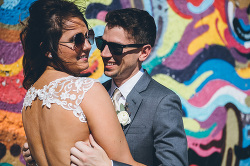 Which is the right fit for your wedding? We are here to provide helpful insight into choosing the best entertainment for your party! First, we recommend laying out your priorities of the day. Your priorities help guide your style and vision. 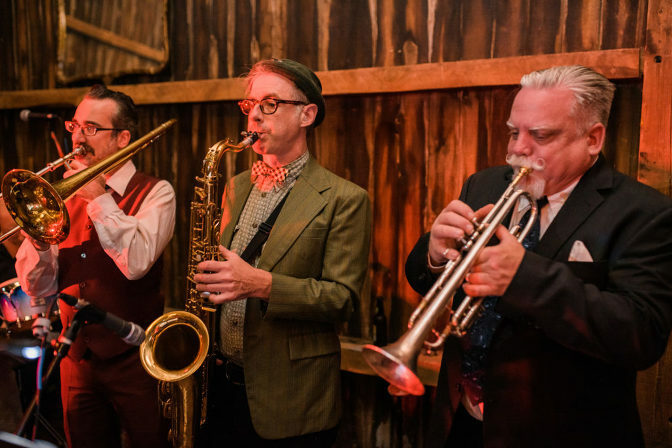 If you and your fiancé want an atmosphere that’s conducive to conversation and catching up with old friends from out of town, then a 13-piece band probably isn’t the right fit. However, if your family likes to boogie and all your college friends never leave the dance floor, then you can book that uninterrupted flow of music spinning off a DJ’s fingers or that high energy big band to keep the party dancing! Your priorities for the day will help set you on the right path. Second, consult with the big B…Budget. Quality DJs in the city of Chicago can be pricey, but a DJ hired for a full-day will usually be 50-80% more affordable than a live band. Obviously, the prices of live music varies dramatically based upon the number of hours booked, how many musicians, and experience. Budget will play a large role in influencing your decision, so consult this before beginning your musical search. Third, your venue will play a role in your musical choice. Important things to consider are the room capacity, the acoustics, the floor plan, noise restrictions or city ordinances, and access to electricity. If your venue is nestled in a neighborhood, it is likely going to have noise restrictions on decibels and/or how late the amplified music can play. Know your venue before booking this vendor. Lastly, if you can’t decide, have both! 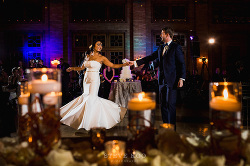 Consider a live string quartet for ceremony and cocktail hour, then switching to a DJ for dinner and dancing. Or have a trio for ceremony, 5-piece for cocktail and dinner, move up to an 8-piece for the start of open dance floor and end the last hour of die hard dancing with recorded music! All live bands require breaks- it’s hard work belting out those tunes for 45 minutes straight. To avoid silence during these 10-15 minute breaks, the band will put on recorded music- they have the capabilities to do both. A DJ on the other hand- can’t stop/won’t stop until the lights come up! 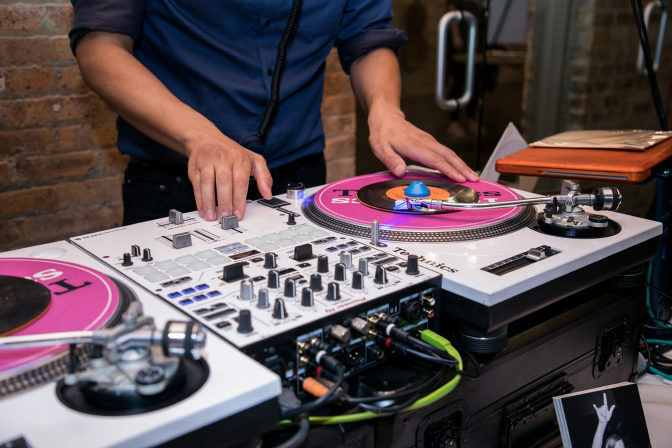 Whether one, two, or three+ hours of open dance floor- your DJ is always mixing. Plus there are some DJs that offer you to book a live drummer to play along side them- best of both worlds is always an option! 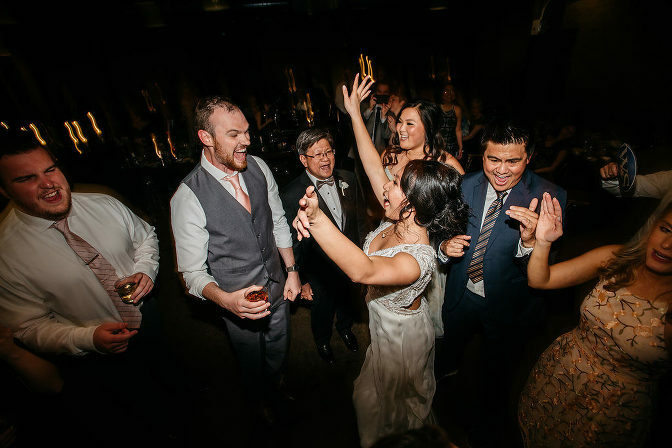 Need recommendations for Musical entertainment at your wedding? Just ask!